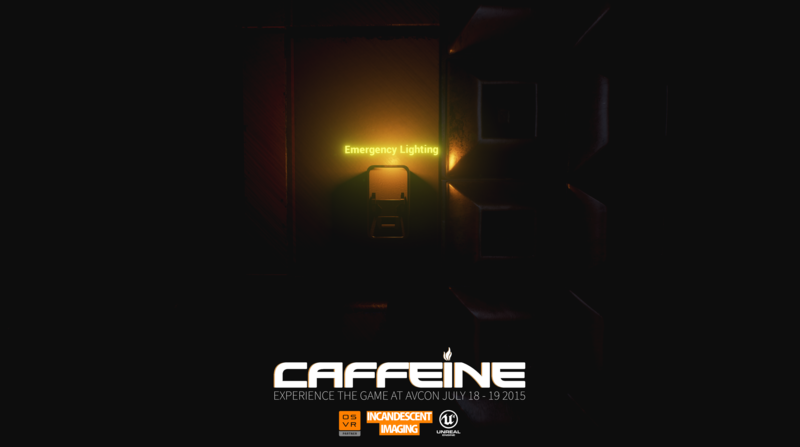 Caffeine Episode One has been released! It is my pleasure to announce that Caffeine – Episode One has been released on both Steam and itch.io. 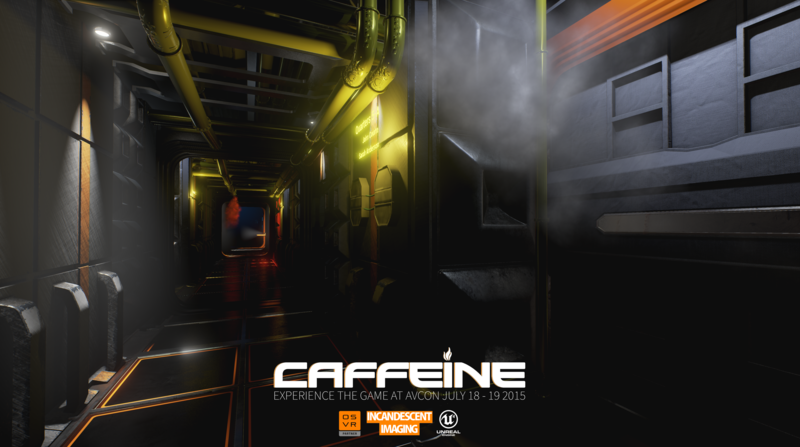 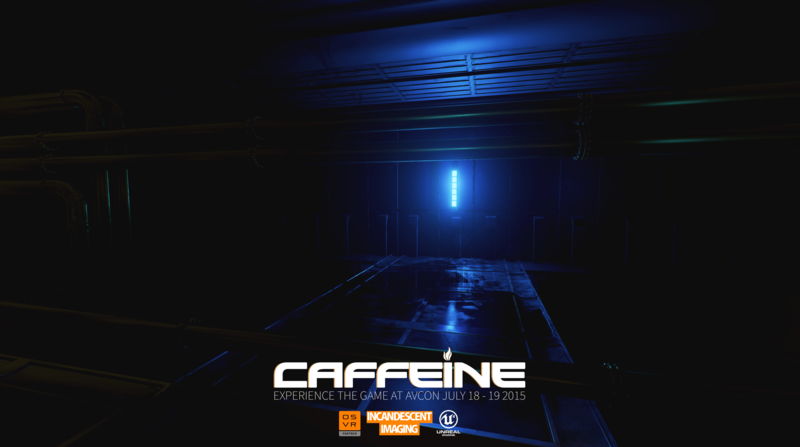 Caffeine 2015 Demo Now Oculus Compatible! 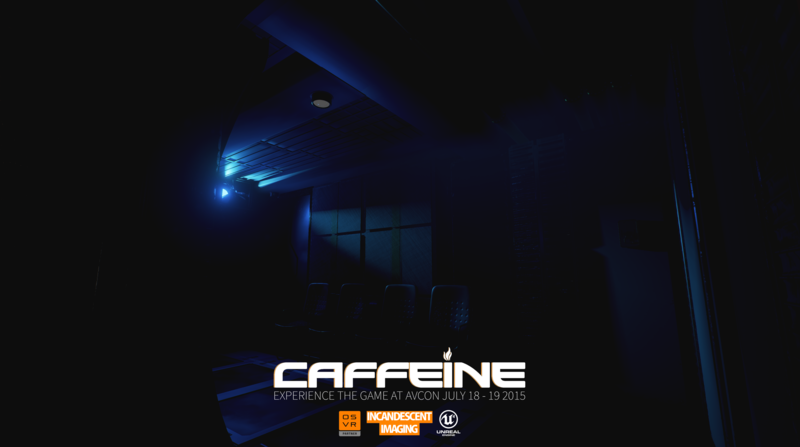 With the Oculus Rift now working on Windows 7, an Oculus build of the 2015 Caffeine Demo is now available! 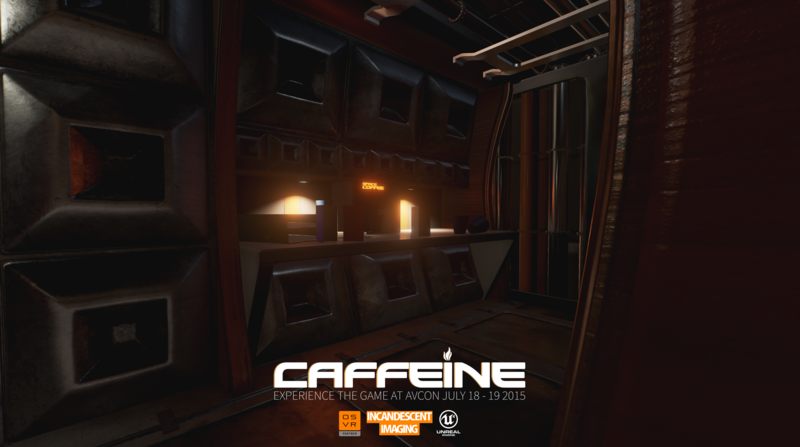 With new-found experience developing for VR from working on OSVR integration, today’s demo release performs a great deal better than the previous 2014 demo which allows for a much more immersive experience. You can grab the demo from IndieDB below! 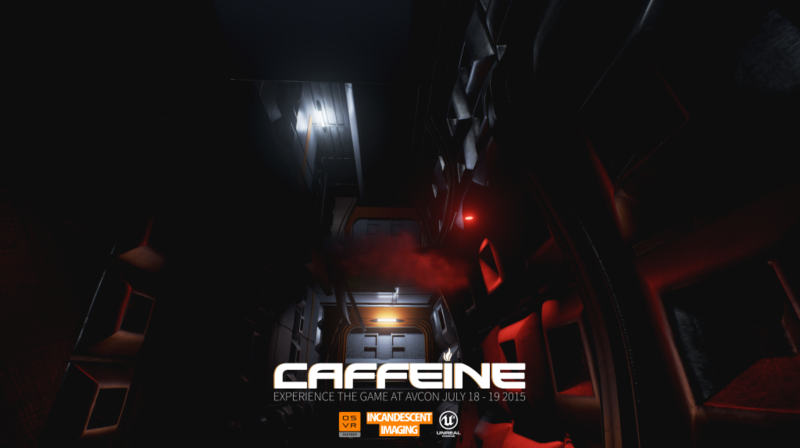 By now you no doubt have heard that updated versions of the Caffeine demo have hit Steam and IndieDB this past week, if by chance you haven’t be sure to go check them out! 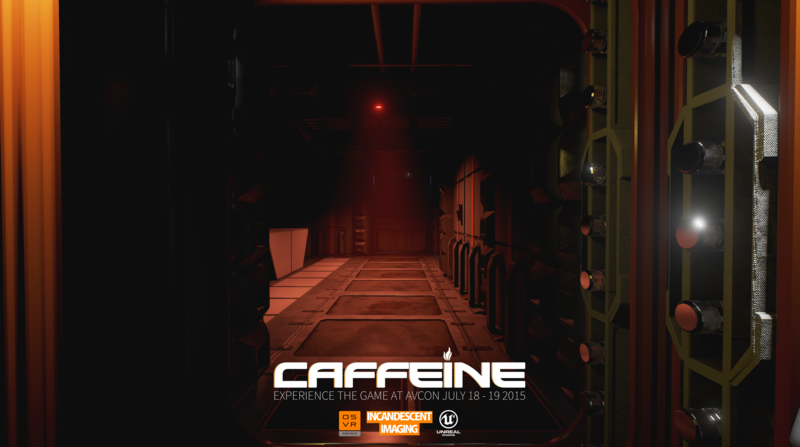 In addition today we have released some alpha gameplay from Caffeine, where someone has spilt a large quantity of coffee. 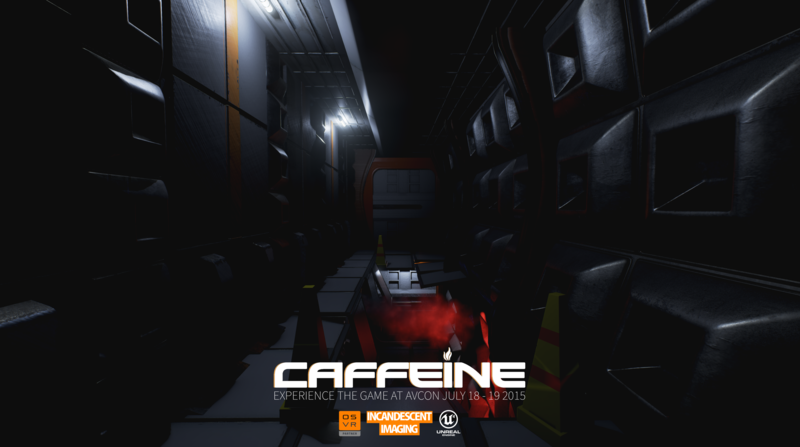 In between compiling builds of Caffeine, I have been working on porting Boxed In to mobile, and here it is! 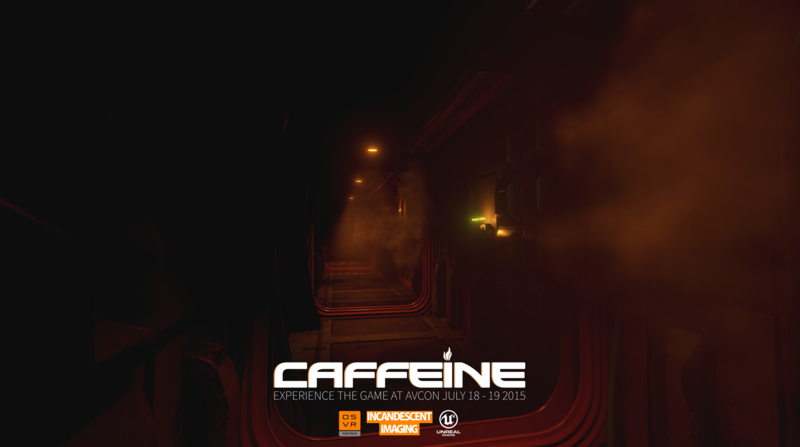 As an extra special treat for all you guys, I have decided to upload the AVCon 2015 Demo of Caffeine for all to have a play with. 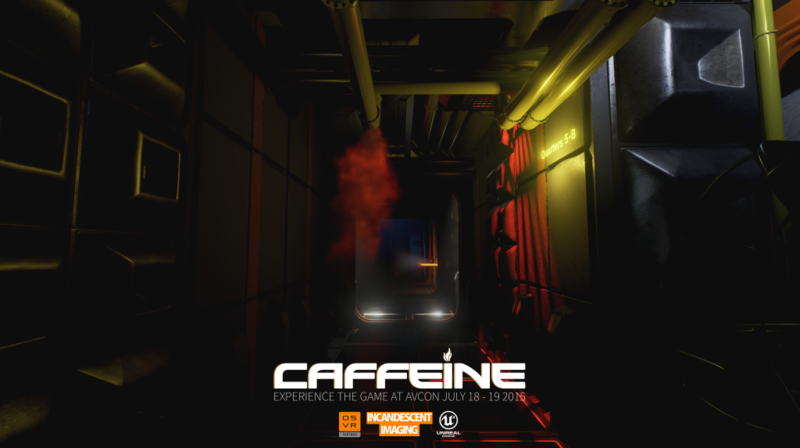 As this is a convention build it was designed as a short contained demo to give players a taste of the atmosphere of Caffeine, this includes some awesome new sound design by Jonathan Wachoru and music from Bay Drive Sound’s Adam Klingman. 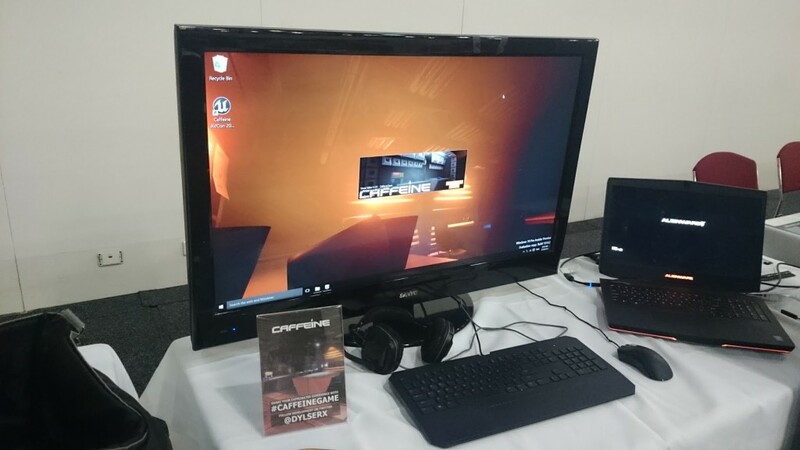 The demo is targeted at 1080p 30fps for demo purposes, you can change this in the settings menu. 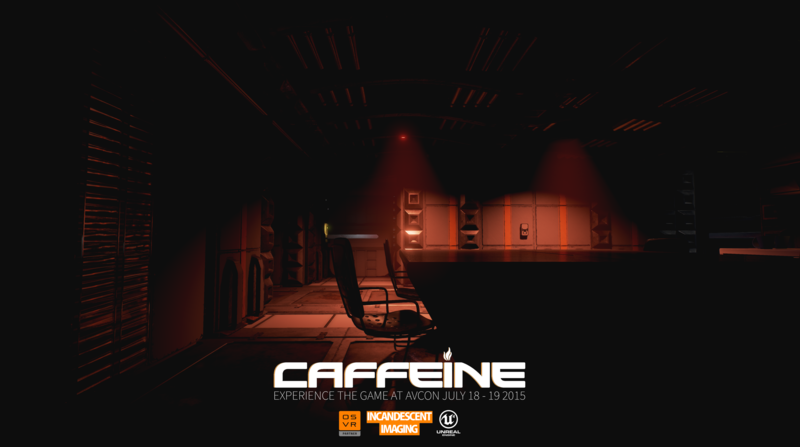 As the game is still in development the demo is not representative of the final game. 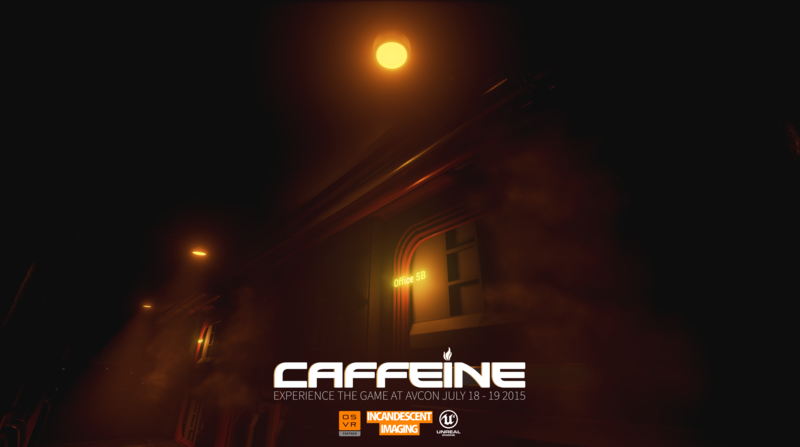 Once again this year Caffeine graced AVCon with its smooth visuals and eerie soundtrack. 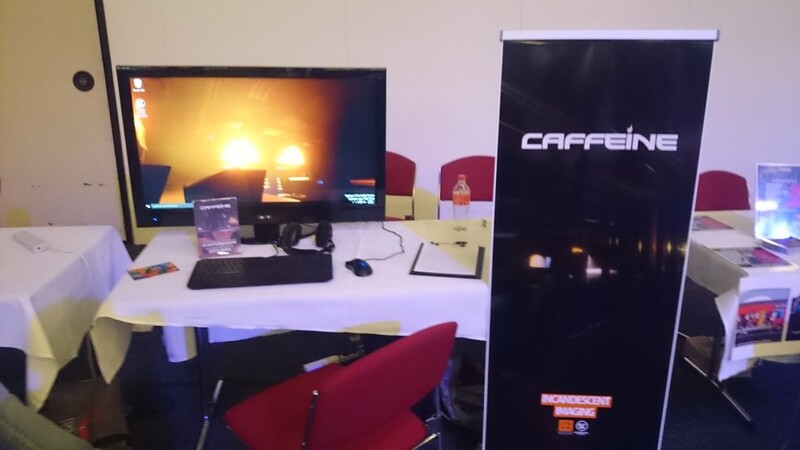 We were lucky enough to be one of the 50 indie games selected to be shown in the Indie Games Room section in Adelaide, South Australia. 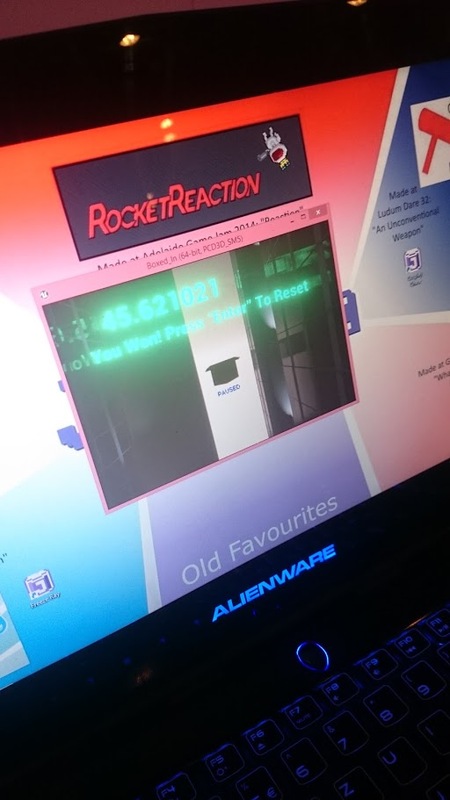 The whole weekend was admittedly a little bit of a blur but the turnout was fantastic and the feedback was invaluable. 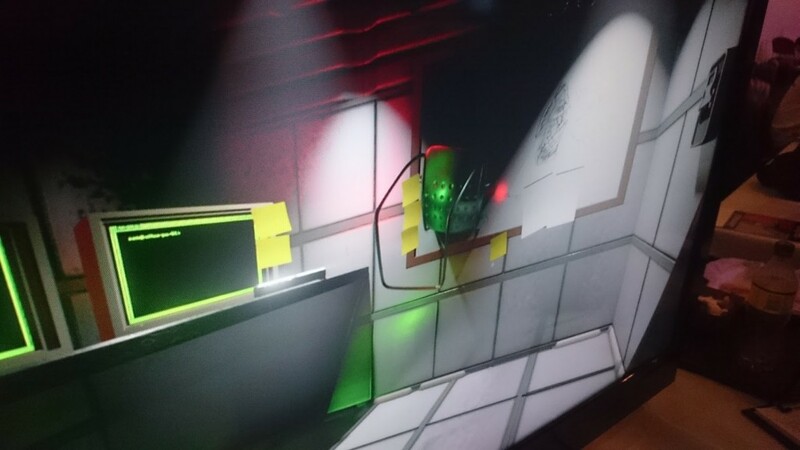 Physics glitches never cease to amaze. 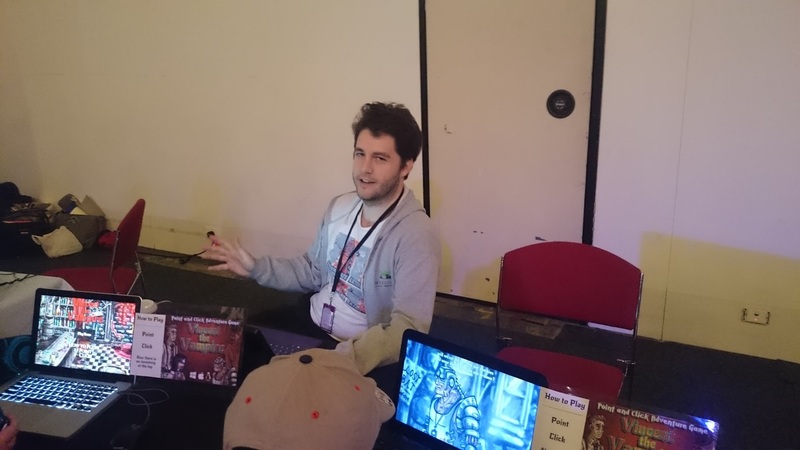 Our stall neighbors, Vincent the Vampire! 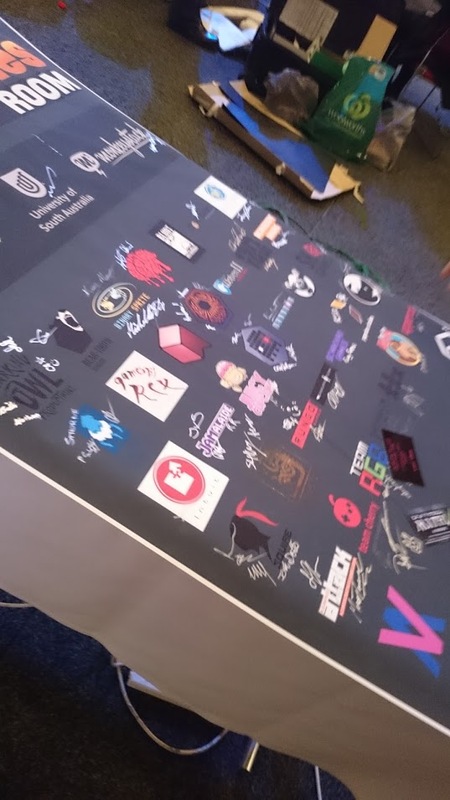 Signed by every studio that was there to be auctioned off. 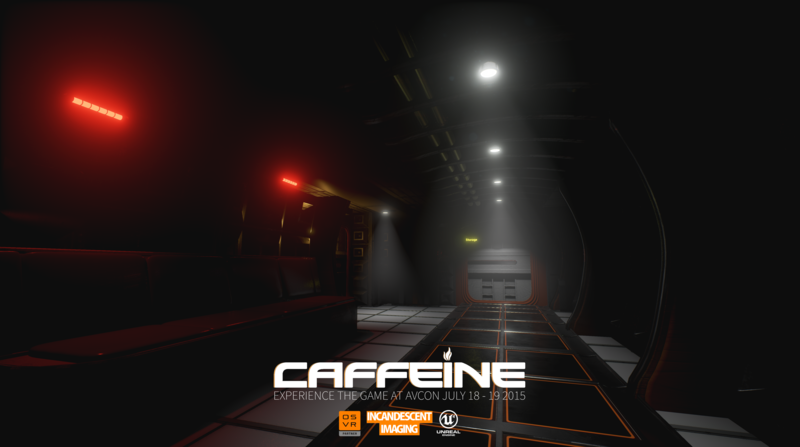 In Caffeine I needed a smooth simple head bob animation that was easily configurable. 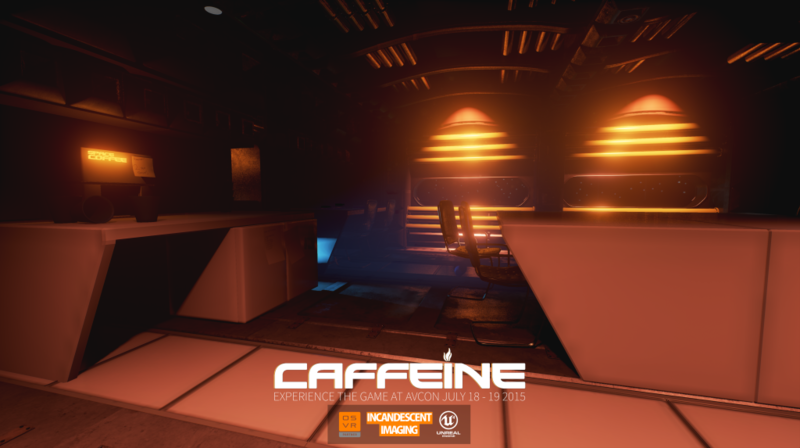 My final implementation worked by having the first person camera parented to a spring arm which was animated with a timeline node. 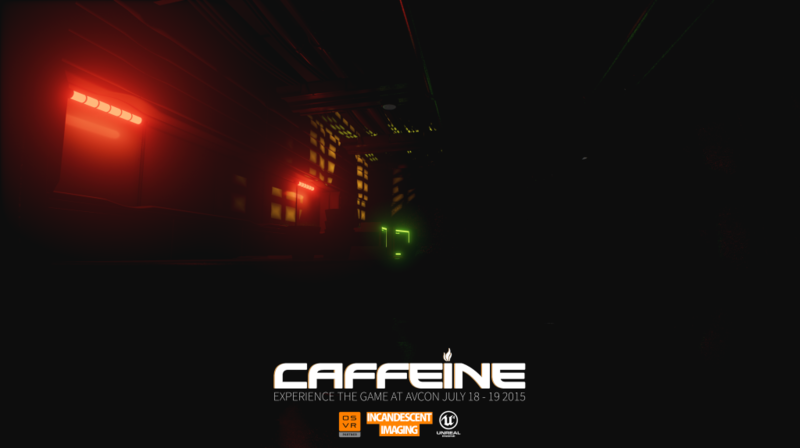 To account for different velocity the result from the timeline was then multiplied by the movement input axis. 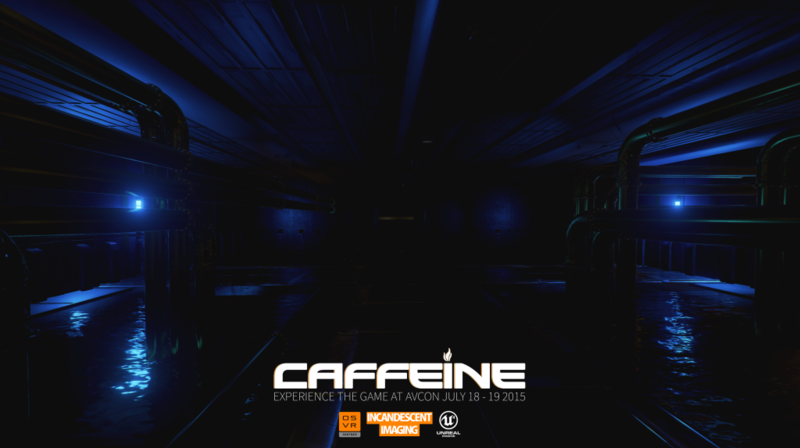 It is my pleasure to release some screenshots of Caffeine in action at over 4K resolution, be sure to enjoy!